About D. Glass Associates, Inc.
As noted in the previous entry in this blog, the use of certain genetically modified microorganisms or algae in biofuel production may be subject to regulations promulgated by the U.S. Environmental Protection Agency (EPA) under the Toxic Substances Control Act (TSCA). In this posting I will briefly describe the history and rationale of this rule, and describe its provisions and requirements. Later entries of the blog will summarize how this rule may affect the use of modified microorganisms and algae for biofuel production, and will discuss those proposed uses already submitted for EPA review under this rule. EPA uses TSCA to regulate the applications of genetically modified microorganisms that are not regulated by other federal agencies. TSCA itself, the text of which can be found in 15 U.S. Code 2601, is a law requiring companies or individuals to notify EPA at least 90 days before commencing manufacture or importation of any “new” chemical, i.e., one that is not already in commerce, and which is intended to be used for a purpose not subject to federal regulation as a pesticide or under the food and drug laws. It is viewed as a “gap-filling” statute, that is meant to cover chemicals falling through the cracks of other regulatory authority, but it is also a “notification” statute, with government notice required for all new chemicals, regardless of risk, with the idea that the agency would review all the notifications and single out for further oversight those chemicals that appeared to pose potentially unacceptable risks to the environment or public health. The large majority of chemical notifications received by EPA under TSCA are cleared within the 90 day period after only brief agency review. In the early to mid 1980s, the Reagan Administration began to grapple with developing a suitable approach to regulating the commercial applications of biotechnology, a question which became wrapped up in political and public controversy. The government eventually decided to have biotechnology governed by existing laws and regulations to the greatest extent possible, and published its strategy for doing so in a “Coordinated Framework” document issued on the last day of 1984 and finalized in June 1986. Since the Coordinated Framework largely involved the use of existing regulatory authority, EPA decided that it could use TSCA in the same “gap-filling” way as it is used for chemicals, to capture those modified microorganisms to be used in commerce but that were not regulated by other federal agencies. The primary areas which were expected to became subject to the TSCA biotechnology regulations were (a) microorganisms used for production of non-food-additive industrial enzymes, other specialty chemicals, and in other bioprocesses; (b) microorganisms used as, or considered to be, pesticide intermediates; (c) microorganisms used for nonpesticidal agricultural purposes (e.g. 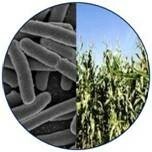 nitrogen fixation); and (d) microorganisms used for other purposes in the environment, such as bioremediation. As the field of industrial biotechnology has developed, production of biofuels and bio-based chemicals may be the most prominent “bioprocessing” applications that might fall subject to TSCA. In the 1986 coordinated framework, EPA did not formally propose new biotechnology regulations, but announced its intention to do so, and stated how the agency intended to use existing chemical premanufacture notification regulations to cover microorganisms. This jerry-rigged use of the notification system for chemicals was instituted as an interim policy, but because of political difficulties and interagency battles, EPA was not able to published proposed biotechnology regulations until 1994 and not able to finalize these regulations until April 11, 1997 (62 Federal Register 17910-17958). These rules, when finally issued, amended the existing TSCA regulations by creating a new section of the Code of Federal Regulations (40 CFR Part 725), which specifies the procedures for EPA oversight over commercial use and research activities involving microorganisms subject to TSCA. The net result was to institute reporting requirements specific for microorganisms (but which paralleled the commercial notifications used for traditional chemicals), while also creating new requirements to provide suitable oversight over outdoor uses of those genetically modified microorganisms subject to TSCA jurisdiction. The biotechnology rule requires premanufacture reporting for new organisms intended for commercial use, but it was a long-running challenge in the development of the regulations to adequately define “new organism”. The final rule defines a “new organism” as an “intergeneric organism”, which is defined to mean “a microorganism that is formed by the deliberate combination of genetic material originally isolated from organisms of different taxonomic genera”. This was essentially the same definition originally proposed in the Coordinated Framework and which had been used continuously from 1986 to 1997 under the interim policy. The rationale for this definition, which was admittedly somewhat arbitrary, was that microbes that are classified within the same genus were more likely to be able to exchange genetic information in nature than microbes found in different genera, so that an “intergeneric” combination of genes was judged to be less likely to have occurred naturally (without human intervention) than an “intrageneric” combination. Under this formulation, microorganisms that are not intergeneric are considered not to be new, and such organisms, including naturally occurring and classically mutated or selected microbes, are exempt from reporting requirements under TSCA. As summarized in an earlier entry in this blog, a number of companies are contemplating the use of genetically engineered algae for production of biodiesel, jet biofuels, fuel alcohol and other transportation fuels (link to entry). Although I don’t know if EPA has ever been contacted or formally asked about possible applicability of TSCA to the use of engineered algal strains, there appears to be a basis in the TSCA regulations for such oversight. The TSCA regulations state that the term “microorganism” would encompass “organisms classified in the kingdoms Monera (or Procaryotae), Protista, and Fungi, the Chlorophyta and the Rhodophyta of the Plantae, and viruses and virus-like particles”. Although not explicit in the definition found in the regulations, the preamble to the 1997 Federal Register notice implementing the regulations specifically stated: “Therefore, this definition includes, but is not limited to, bacteria, protozoa, fungi, mycoplasmas, mycoplasma-like organisms, spiroplasmas, microphytoplanktons, green and red algae, viruses, and viruslike particles (e.g., viroids, satellites, and virusoids)”. However, it does not appear that EPA has ever asserted such authority or been presented with an opportunity to assert such authority, nor is it clear that EPA would necessarily assume oversight over modified algal strains. Microorganisms meeting the “new microorganism” definition that are to be used for commercial purposes subject to TSCA’s jurisdiction require premanufacture reporting 90 days in advance of the commercial activity. For this purpose, the Biotech Rule instituted a new procedure called a Microbial Commercial Activity Notification (MCAN) that is analogous to the previous biotechnology PMN procedures under the interim policies, and to long-existing PMN practice for chemical entities. The regulations specify the information and other data that applicants need to submit in the MCAN, and in addition EPA has published a detailed “Points to Consider” document, which, together with guidance from the publicly-available versions of previously-filed MCANs, can be used to help applicants prepare MCAN submissions. Most of the MCANs submitted to date, as well as premanufacture notices for microorganisms that were submitted from 1987 to 1997 under the interim policy, have been reviewed and cleared by EPA without much difficulty. The Biotech Rule provides certain exemptions from MCAN reporting that are available for specific organisms that qualify. First, the host, or recipient, organism must be one that is included on the list found in Section 725.420 of the regulations. This list includes many well-studied species including E. coli K12, Saccharomyces cerevisiae, Bacillus subtilis, and others. Second, as specified in Section 725.421, the introduced genetic material in the microorganism must be well characterized (that is, the function of all introduced DNA is known); must be limited in size to the minimal genetic information needed; must be poorly mobilizable, that is, that the ability of the genetic material to be transferred and mobilized has been inactivated and that the frequency of transfer is less than 10-8 transfer events per recipient; and must be known to be free of harmful sequences. meet several criteria. Given the precision possible in today’s recombinant DNA techniques, these conditions should be easy to meet. Third, in Section 725.422, the regulations specify specific containment and control procedures to minimize the possibility that the engineered microorganism might inadvertently be released from the facility. If an organism meets the first two sets of criteria (the “biological” criteria), and the applicant can use the microbe in strict compliance with these Section 422 procedures, the process is eligible for a “Tier I” exemption and can be used commercially merely upon 10 days advance notice to EPA. For microbes meeting the biological criteria but which are intended for use under conditions less strict than the Section 422 procedures, the applicant can submit a petition for a “Tier II” exemption 45 days before intended manufacture. EPA would approve the Tier II request if it felt that the proposed containment and control procedures, although not identical to the Section 422 procedures, were sufficient for the organism in question. Note that the Section 422 procedures are also recommended for use with microorganisms subject to MCAN reporting. Generally speaking, research activities involving new microbes are exempt from reporting if used only in “contained structures”. The basis for this provision is the exemption under the TSCA statute for R&D activities using only “small quantities” of chemicals. The rule specifically contemplates that this exemption would apply broadly to many types of structures, including greenhouses, fermenters and process stream bioreactors. The rule gives applicants fairly broad leeway in designing and operating facilities to meet the “contained structure” definition. When conducted in suitably contained structures, most R&D activities would be exempt from MCAN reporting under the “small quantities” exemption in the statute. Under this definition, it is likely that most laboratory research in biofuels would be exempt from commercial reporting. In addition, many uses of engineered microorganisms in biofuel pilot plants could also qualify for this exemption, as long as the microbe were used “solely” for research and development. However, there is some grey area in this definition, particularly as applied to the question of the disposition or possible commercial use of fuels produced in the pilot plant. However, the use of engineered algae in biofuel production raises a possible concern, because in current practice, algae are often grown in open-air reactors, or in other reactor designs that may differ considerably from traditional bacterial fermentation set-ups. If a reactor was judged by EPA not to be sufficiently “contained” as defined in the regulations, EPA would consider any use of such reactor with live algae to be an outdoor use, triggering the need for regulatory oversight at the research level (as discussed in the next paragraph) and possibly a greater level of scrutiny at commercial scale. Research activities with intergeneric microbes that are conducted outside a contained facility, i.e. outdoor experimentation like agricultural field tests, are potentially subject to some sort of reporting, with only limited exemptions. Those field tests not qualifying for one of a limited number of exemptions can be conducted under a reduced reporting requirement known as TSCA Environmental Release Application (TERA). This portion of the regulations is not relevant to biofuel applications, unless EPA were to judge an algae biofuel pilot to not be sufficiently contained, and so I’ll say no more about TERAs. EPA has received PMNs and other notifications of biotechnology products under TSCA under the interim policy from 1987 to 1997. Most of those notifications were for uses of intergeneric microorganisms for manufacturing products, primarily including industrial enzymes and pesticide intermediates. Since the adoption of the final rules in 1997, several MCANs have been received for such products, and more recently there have been MCAN submissions for biofuel applications. These will be described in the next blog entry. One final, general comment about biotech regulation as it applies to the environmental and industrial uses of engineered organisms. The need for these regulations is based on legitimate scientific concerns about the potential environmental effects of organisms having novel traits, particularly the concern that a new organism might have some competitive advantage over naturally occurring organisms, so that it could establish itself in the environment to detrimental effect. Some of these concerns are not unique to engineered organisms, and many observers would have similar concerns about large-scale releases of any novel organism, whether recombinant or not. Where most responsible observers in the industry have differed from critics in environmental groups and the general public is the overall perception of how significant the risk may be: while some in the general public fear that engineered microorganisms and plants inherently have potentially serious environmental risks, many scientists and industry officials feel that whatever risks may exist are of low probability and are easily assessable and manageable, and in any event do not differ in degree from the risks posed by similar uses of naturally-occurring organisms. D. Glass Associates, Inc. is a consulting company specializing in several fields of biotechnology. David Glass, Ph.D. is a veteran of nearly thirty years in the biotech industry, with expertise in industrial biotechnology regulatory affairs, patents, technology licensing, and market and technology assessments. This blog provides back-up and expanded content to complement a presentation Dr. Glass made at the EUEC 2010 conference on February 2, 2010 entitled “Prospects for the Use of Genetic Engineering in Biofuel Production.” The slides from that presentation, along with more information on D. Glass Associates’ regulatory affairs consulting capabilities, are available at www.slideshare.net/djglass99. The earlier entries in my blog have described the technical and commercial strategies that are being used to apply the advanced techniques of biotechnology to the production of biofuels, and the companies that are carrying out that research. These approaches are being pursued because of the potential that the newest techniques for genetically modifying microorganisms and plants might enable significant improvements in biofuel production processes, making biofuel manufacture more efficient and less costly, and therefore more competitive with the cost of nonrenewable petroleum-based fuels. However, many of these approaches may become subject to the regulatory framework that exists in the United States and other countries for the regulation of biotechnology and its commercial uses. As I’ll describe, legitimate concerns over the potential environmental and health effects of genetically modified organisms (GMOs) led many national governments, as well as a number of states, provinces and localities, to create regulations governing many commercial uses of GMOs. However, because the earliest debates over biotechnology regulatory and public policy were often contentious or even confrontational, the perception arose that the combination of government regulation and negative public opinion made it impossible to use GMOs in many commercial applications, particularly those in the open environment. This misperception persists in many quarters to this day, and one of my purposes in writing this blog is to try to dispel such beliefs. In this entry and in the entries to come, I’ll describe the history and the basis for biotechnology regulation in the United States and elsewhere, and describe those regulatory programs that might be applicable to biofuels projects using GMOs. Much of this discussion will focus on the United States, but similar stories have been played out in other countries and regions, and I’ll spend a little bit of time discussing the regulatory situation elsewhere in the world, particularly in Canada and the European Union. Generally speaking, biofuels projects using GMOs might fall under either of two different types of regulatory programs. Those applications in which genetically modified plant species are being developed as novel biofuel feedstocks may be subject to regulations that have governed the agricultural biotechnology industry, and which cover the field testing and eventual commercial use of transgenic plants. In the U.S., these regulations are administered by the U.S. Department of Agriculture under the Federal Plant Protection Act. Certain applications using genetically modified microorganisms or algae may fall subject to other regulations designed to oversee industrial or environmental uses of certain engineered microorganisms; in the U.S. these would be regulations administered by the Environmental Protection Agency under the Toxic Substances Control Act (TSCA). Although these programs differ in many ways, their underlying scientific bases are similar, and in both cases, any needed regulatory approvals can easily be managed and obtained with suitable advance planning. Biotechnology regulatory frameworks in most countries arose out of the health and safety issues that were initially raised by scientists and eventually debated by the public, shortly after recombinant DNA (rDNA) techniques were first developed in the early to mid 1970s (this early history is well documented by others). The initial concerns were over the potential public health and safety threats that might be posed during laboratory research, if organisms having new traits were inadvertently released outside the laboratory, and this concern led to the adoption of research guidelines, which in some cases had limited applicability (e.g. the U.S. National Institutes of Health rDNA guidelines, binding only of federally-funded research). As the biotechnology industry developed in the 1980s, the focus of the regulatory concern shifted not only to the larger scale uses inherent in commercial application of this new technology, but also to deal with the intention that certain engineered plants, animals and microorganisms would be created for use outside the lab, in the open environment. In fact, the driving force for much of the regulatory action in the 1980s was concern over such “deliberate releases” to the environment, even though most governments instituted frameworks that covered a wider range of commercial products activities. In the United States, the outcome of several years of public policy discussions was the adoption of a “Coordinated Framework” for biotechnology regulation in 1986. Under this framework, it was decided that the commercial products of biotechnology would be regulated under existing laws and regulations and that it was not necessary to enact a specific law broadly covering all biotechnology activities. Thus, the use of biotechnology to produce drugs, vaccines, diagnostic products, foods and food additives would be regulated by the Food and Drug Administration (FDA), using existing regulatory authority; biotech-derived pesticides would be governed by existing rules of the Environmental Protection Agency (EPA); and most other agricultural products would be regulated by the U.S. Department of Agriculture (USDA). The effect of this decision was that the vast majority of biotech products, especially in the early years of the industry, were to be governed by the existing regulatory programs of the FDA and EPA with little or any regulatory revision; however it was also necessary to create new regulatory structures for some classes of commercial product that could be anticipated to arise from biotechnology. Specifically, although it was decided that existing laws administered by the USDA could be used to regulate genetically engineered (“transgenic”) plants, new regulations under those laws would be needed. In addition, there were a number of potential uses for genetically modified microorganisms that could be regulated under a law used by EPA to regulate the entry of new chemicals into commerce, but here too a set of new rules would be needed to use this law to regulate microbes instead of chemicals. As it happens, these two new regulations are the ones that are the likeliest to affect use of biotechnology in biofuel production in the United States, and these are the ones I’ll discuss in future entries in the blog. I’ll also spend a little bit of time discussing regulation outside the U.S. Most countries around the world also adopted a similar product-specific approach, and (for example) the entry into the market of biotech-derived drugs is largely regulated in the same manner as conventionally-manufactured drugs. However, approaches to other biotech products differs. For example, Canada wound up adopting a similar framework to that of the U.S., in that uses of transgenic plants are regulated by the Canadian Food Inspection Agency in a manner similar to USDA policies in the U.S.; and various industrial uses of microorganisms are regulated by Environment Canada under a regulatory program resembling the one used for a similar purpose by the U.S. EPA. In Europe, however, the European Union ultimately adopted a series of uniform regulations specifying how national regulatory authorities are to handle the environmental and industrial uses of engineered plants and microorganisms. One final, general comment about biotech regulation, as it applies to the environmental and industrial uses of engineered organisms. The need for these regulations is based on legitimate scientific concerns about the potential environmental effects of organisms having novel traits, particularly the concern that a new organism might have some competitive advantage over naturally occurring organisms, so that it could establish itself in the environment to detrimental effect. Some of these concerns are not unique to engineered organisms, and many observers would have similar concerns about large-scale releases of any novel organism, whether recombinant or not. Where most responsible observers in the industry have differed from critics in environmental groups and the general public is the overall perception of how significant the risk may be: while some in the general public fear that engineered microorganisms and plants inherently have potentially serious environmental risks, many scientists and industry officials feel that whatever risks may exist are easily assessable and manageable, and in any event do not differ in degree from the risks posed by similar uses of naturally-occurring organisms. These are the regulatory programs that will affect the use of genetically modified organisms in biofuel production that I’ll discuss in the next several entries of the blog. Regulation of engineered microorganisms by U.S. EPA. Under regulations adopted under the Toxic Substances Control Act (TSCA) in 1997, EPA has the authority to regulate the use of certain “new microorganism” when proposed to be used for specific industrial, environmental or agricultural purposes. TSCA itself was enacted in 1976 to allow EPA to regulate the manufacture of new chemicals that are not already in commerce, for purposes not subject to regulation as a pesticide or under the food and drug laws. When the federal government was developing its coordinated interagency approach to biotechnology regulation in the 1980s, EPA decided to use TSCA in this same “gap-filling” way, to capture those microorganisms used in commerce that were not regulated by other federal agencies. The use of a microbe in a biofuel production process, or to produce an enzyme used in biofuel production would be one of the industrial applications falling under TSCA jurisdiction, but in order to be regulated, the microorganism must be considered to be “new”. Under the regulations, new organisms are defined as “intergeneric”, meaning that they include coding DNA sequences that have arisen from a taxonomic genus different than that of the host organism. Commercial use of a “new microorganism” in a covered industrial application would require reporting to EPA. However, the biotechnology rules under TSCA cover only commercial uses, and most R&D uses, probably including pilot plants, would be exempt from EPA reporting. Several modified microorganisms intended for biofuel use, as well as a number of microbes engineered to manufacture industrial enzymes for biofuel production, have already been cleared by EPA under these regulations. Regulation of transgenic plants by USDA. The Agriculture Department adopted regulations in 1987 under which the outdoor growth or interstate movement of certain genetically modified plants or agricultural microorganisms require permits. These regulations, administered by USDA’s Animal and Plant Health Inspection Service (APHIS), have overseen the growth of the U.S. agricultural biotechnology industry. Technically, these regulations do not cover all genetically engineered plants, and instead cover only those plants engineered to contain sequences from certain microbial genera that contain species that are potential plant pests. In practice, because most plant transformation procedures use DNA from the microbe Agrobacterium tumefaciens, which appears on the “plant pest” list, these regulations have covered the vast majority of transgenic plants that have been developed. Today, after a series of regulatory revisions over the years, most transgenic plant field tests can take place merely upon notification to the agency, but most industrial uses of transgenic plants, likely including most field uses of engineered biofuel feedstock plants, would require permits under these regulations. The regulations also feature a “delisting” process by which specific transgenic varieties are cleared for commercial sale. Engineered biofuel “energy crops” have been field tested under these regulations for at least the last 3-4 years, and one engineered corn variety is awaiting USDA approval for commercial use. However, USDA has been contemplating revisions to these regulations for the past several years, which might affect how transgenic biofuel crops are regulated. Regulations governing disposal or reuse of spent biomass from microbial fermentations. One common issue facing companies running fermentation processes using microorganisms is how to dispose of, or reuse, the microbial biomass that remains after the production process. These microorganisms are typically sterilized or inactivated in some way after the fermentation is completed (e.g. as required under regulations like the EPA TSCA regulations), but something needs to be done with these cells after they are killed. I’ll discuss some of the regulatory issues pertaining to the possible disposal of inactivated cell biomass into wastewater streams or the application of the biomass to the land, either in landfilling or as a soil supplement. I’ll also discuss the regulations that may govern the use of spent, inactivated biomass in animal feed – something that has been common for many years in conventional fermentation processes, particularly where the biomass is yeast. Here, the U.S. Food and Drug Administration might get involved, under regulations proposed in 1997 (which are being implemented as an interim policy) that offer a streamlined procedure under which applicants can notify FDA of new substances which are believed to be “Generally Recognized as Safe”(GRAS) for use in food or animal feed. Regulations outside the U.S. I’ll also describe regulatory frameworks that have evolved outside the U.S. for the regulation of engineered microorganisms or plants as they may apply to biofuel production. As mentioned above, a framework similar to that of the U.S. exists in Canada, and the European Union has adopted a uniform approach to all biotechnology products that is standardized across the EU but which differs in many ways from the U.S. process. I’ll also discuss the possible impact of international understandings such as the Convention on Biological Diversity.